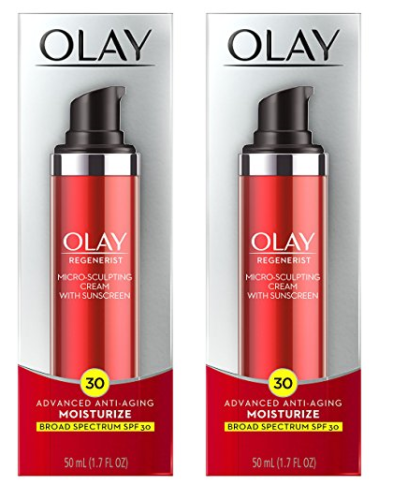 **53% OFF Olay Regenerist Micro-Sculpting Cream Moisturizer with SPF 30, 1.7 oz (2 Pack) from Ebay. Coupon Code: No Code Required. Price: $23.25. Discount: 53%. Categories: Skin Care. Coupon Rating: 4.6 Stars out of 5. Store Rating: 4.8 Stars out of 5. Coupon Recommendation: Strongly Recommended. Available Until: Not Specified. Thoughts: Deal Score 85 out of 100. **Save $19.20 Impact Whey Protein from My Protein. Coupon Code: No Code Required. Price: $35.79. Discount: $19.20. Categories: Food Suppliments & Vitamins, Sponsored. Coupon Rating: 4.5 Stars out of 5. Store Rating: 4.5 Stars out of 5. Coupon Recommendation: Strongly Recommended. Available Until: Not Specified. Thoughts: Deal Score 82 out of 100. **Buy 1, get 50% off 2nd hair care from CVS. Coupon Code: No Code Required. Price: Not Specified. Discount: Not Specified. Categories: Haircare, Sponsored. Coupon Rating: 4.5 Stars out of 5. Store Rating: 4.6 Stars out of 5. Coupon Recommendation: Strongly Recommended. Available Until: Not Specified. Thoughts: Deal Score 80 out of 100. **45% OFF Details about L’Oréal Paris Pure Clay Mask and Cleanser Set from Ebay. Coupon Code: No Code Required. Price: $11.00. Discount: 45%. Categories: Skin Care, Sponsored. Coupon Rating: 4.5 Stars out of 5. Store Rating: 4.8 Stars out of 5. Coupon Recommendation: Strongly Recommended. Available Until: Not Specified. Thoughts: Deal Score 82 out of 100. *$50 Off Your First Time Order Of $75 or More Coupon Code PURIUM50 – Weight Loss, Green, Raw, Organic Foods From Purium® – Activate Now Ishoppurium.com! from Purium. Coupon Code: PURIUM50. Price: Not Specified. Discount: $50. Categories: Weight Management, Sponsored. Coupon Rating: 4.3 Stars out of 5. Store Rating: 4.5 Stars out of 5. Coupon Recommendation: Recommended. Available Until: Not Specified. Thoughts: Deal Score 80 out of 100. **Buy 1, get 50% off 2nd Olay skin care from CVS. Coupon Code: No Code Required. Price: Not Specified. Discount: 50%. Categories: Skin Care, Sponsored. Coupon Rating: 4.5 Stars out of 5. Store Rating: 4.6 Stars out of 5. Coupon Recommendation: Strongly Recommended. Available Until: Jun 23. Thoughts: Deal Score 80 out of 100. *Get FREE .25oz Truth Serum with any $25 purchase at OleHenriksen.com with code CTRUTH! from Ole Henriksen. Coupon Code: CTRUTH. Price: Not Specified. Discount: Not Specified. Categories: Skin Care, Sponsored. Coupon Rating: 4.3 Stars out of 5. Store Rating: 4.7 Stars out of 5. Coupon Recommendation: Recommended. Available Until: Jul 1. Thoughts: Deal Score 70 out of 100.